What a wonderful episode this was ! With just a handful of episodes to go, the producers pull off something quite different. 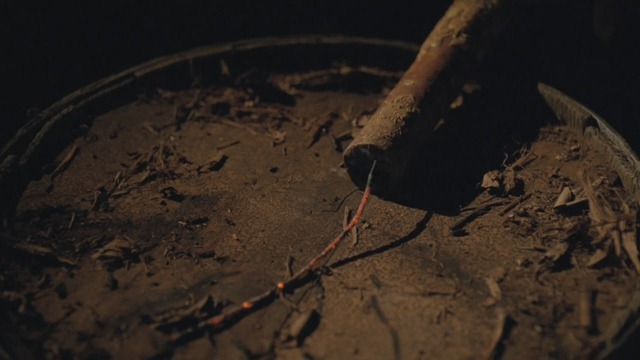 An episodes dedicated to one of the more mysterious character, that we always wondered about. Where did he come from, and why did he never age ? Well we got all those questions answered and we got some info on the island. The man in black in being held there like a cork on a bottle, to keep evil in place. 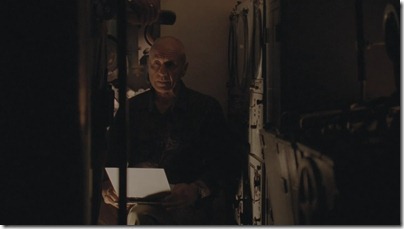 It was nice to see the older mib acting about the same way as the modern one in Locke’s body. The games Jacob and mib play were interesting, I hope we also get to know how exactly mib found a loophole to kill Jacob. 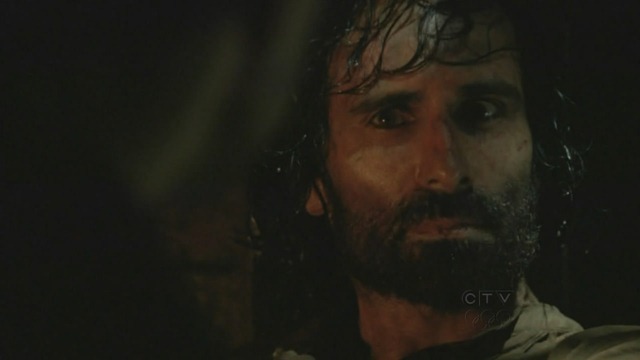 The scene at the end with Hurley and dead Isabella talking to Richard was the best of the episode. Richard almost joined team MIB in the end, but was convinced to stick with Hurley. We’ll see what role he’ll play in the end game. Posted in Movies / TV and tagged lost on 27/3/2010 by Eric. 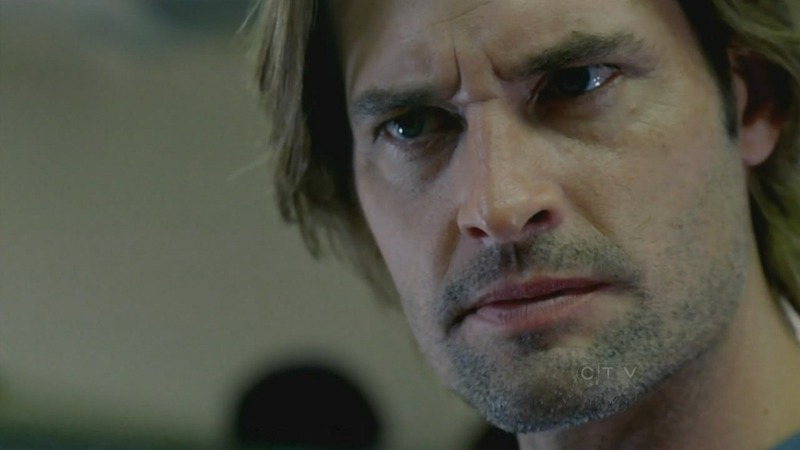 This week we got a more straightforward episode this time centering on Sawyer. 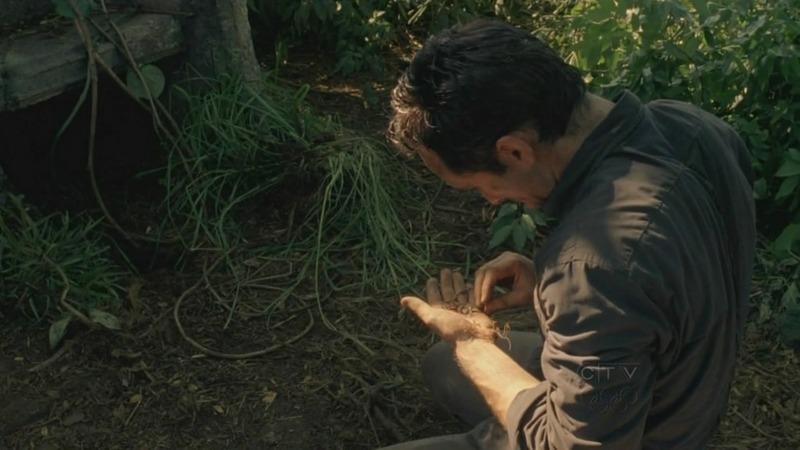 It was enjoyable but not as good as some of the other outstanding episode of this season. It missed the mythical parts that those had. The flashsideways was stretching it a bit I thought. James as a cop ? “I’ve gotten to a point in my life where I was becoming a criminal or a cop. So I choose cop”. Myles as his partner was interesting. Does he still have a sixth sense ? He had a weird look in his eyes when he picked up on Sawyer’s lieing. Also catching Kate in the end was odd. Why did he help her escape earlier ? Can’t do that again I am sure. What did we learn besides the flash sideways this week ? Not a whole lot. 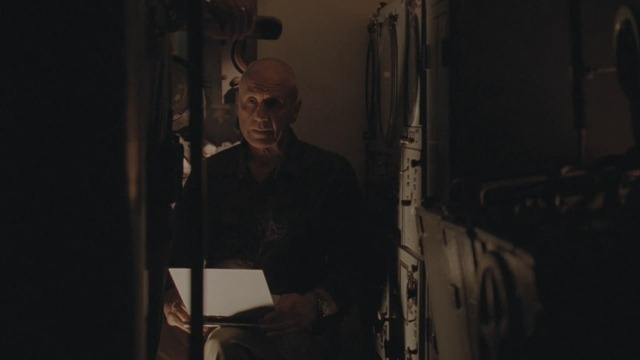 We know that Widmore has set up camp at the sub landing spot and that he’s building sonar pylons to keep Man in Locke out. There was some squarrel between Kate and Claire (was I the only one rooting for Claire ?). Other than that not much happened. I hope we get something more interesting next week ! Posted in Movies / TV and tagged lost on 20/3/2010 by Eric. 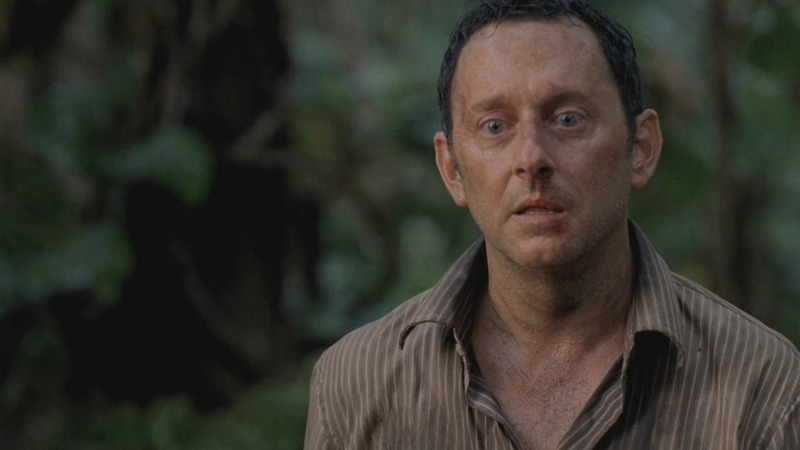 As the title suggest, a Benjamin Linus centric episode. And I thought one of the best of this season. I really liked how much the flash sideway story intertwined with the island timeline. It was so much better than say in the Sayid episode of last week. It was nice to see Alex in the flash sideways. They seem to have just a teacher – student relationship, although nothing is said about it, Linus seems to care very much for her. Ben is basically his manipulating self. Trying to get the principal’s chair, but at the end he makes the right decision and helps his daughter instead of himself. It was interesting that his relationship with his father was very different. 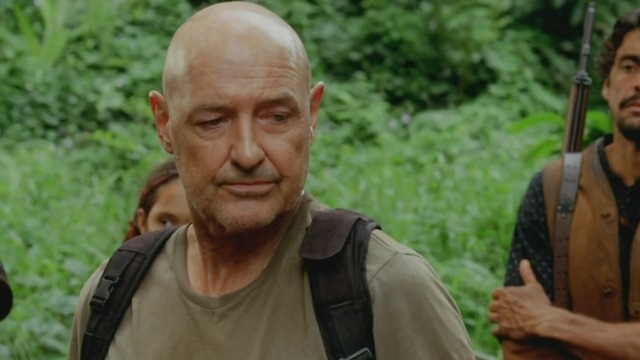 They did get off the island together in that timeline. The scene where he was chased by Ilana in the woods and explained his anger towards Jacob was heartbreaking. Ben’s intentions were good right along, but his ‘the cause justifies all means’ (ie. killing Locke) was not. He even gave preference to the Island over his own daughter and it totally broke him. The way he was standing at the beach said it all to be honest. 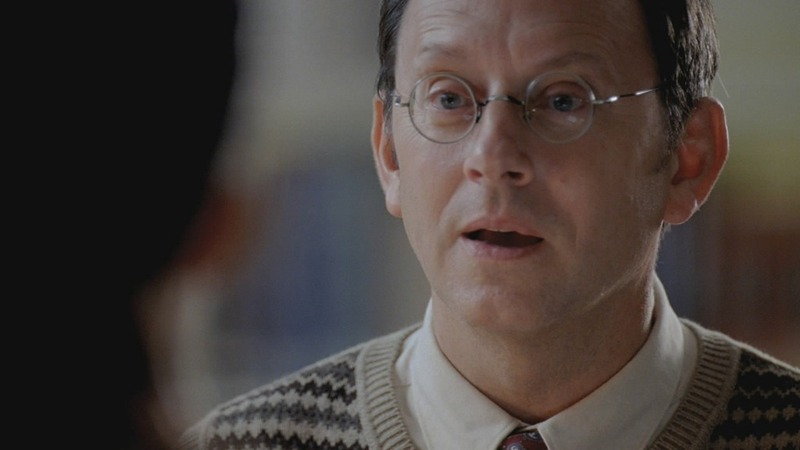 Very well acted once again by Michael Emmerson by the way. Yet he did once again choose Team Jacob ! I don’t think Man in Locke will like that. And when I thought that beach scene was the end, a sub emerges to the surface (although special effects are not Lost’s strong suite, the periscope appeared to be a few meters from the beach). Charles Widmore has returned to the island ! There is a lot of speculation about what team he’ll be on, but I am not sure he’s on anyone’s team. We’ll just have to be patient and see what will happen. – We already knew Richard Alpert was immortal (sort of), but apparently the other people Jacob touched are as well. After the (extremely well done) scene with Jack, has his faith returned ? Or will he still be a bit depressed ? – Lapidus had a few nice one liners again ‘you make friends easily don’t you ?’ to Ben was nice (and not the first time he said that). – Miles’ talent was used again, that was nice to see him in action, instead of just waiting at the food court. Posted in Movies / TV and tagged lost on 13/3/2010 by Eric. It’s interesting to see that people can watch the same show and have different opinion about it. Sepinwall over at what’s Alan watching, thought the first half of this double episode was much funnier and faster than the second half. I thought it was the opposite. I liked the pace of the 2nd half much more than the over the top silliness of the first one. Not that the 1st half was devoid of laughs. The opener was very funny, Dwight stating ‘I need a baby !’ to outsell Pam and Jim. Kevin’s gourmet cooking was nice. ‘Pregnant Pam and I share meals together Second breakfast, second lunch and first dinner’. But the whole ‘we want to check in after midnight because of insurance’ ran way too long, and wasn’t really funny. Jim freaking out because his wife doesn’t want to listen was amusing though. Once the show is on the road though, escorted briefly by Dwight, things kick really off. 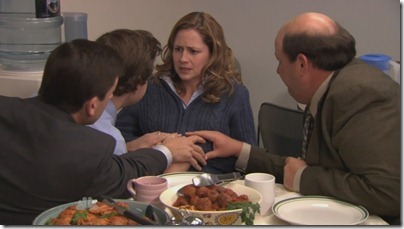 Though Dwight’s rampage through the kitchen was also a bit over the top, as was the contractual baby with Angela. Someone mentioned in the above linked blog post that Dwight had become a cartoon character. Although he always was a bit cartoony, I think I’ll have to agree with that. 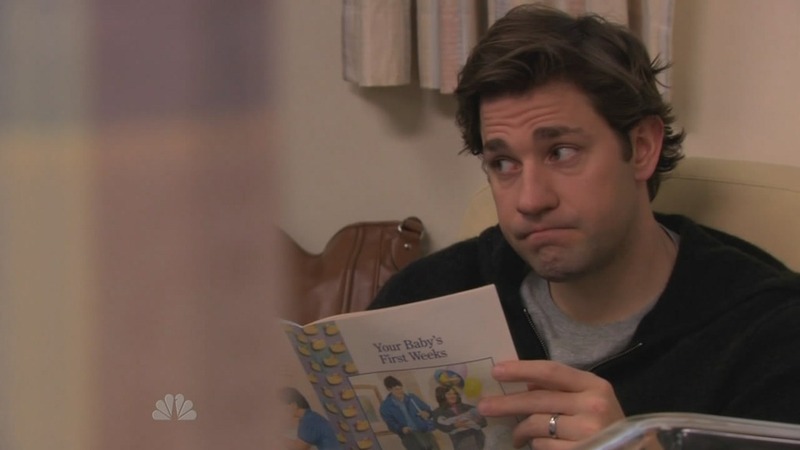 The classic ‘too much information’ joke, with Micheal walking in too early in the delivery room, was pulled off nicely. I guess the screaming wasn’t too much of a hint for him. The male lactasion consultant scene was the funniest thing of the episode, though the switching babies thing, was funny as well. It’s nice to see that Errin and Andy finally are going to be dating. Partly thanks to Micheal’s matchmaking. The fax scene was very nice. It’ll be interesting how things will develop with those two. All in all a very nice double episode, certainly one of the best of a not so great season. Though no contender for the marriage episodes. Posted in Movies / TV and tagged the office on 7/3/2010 by Eric. Wow, I didn’t see this one coming. 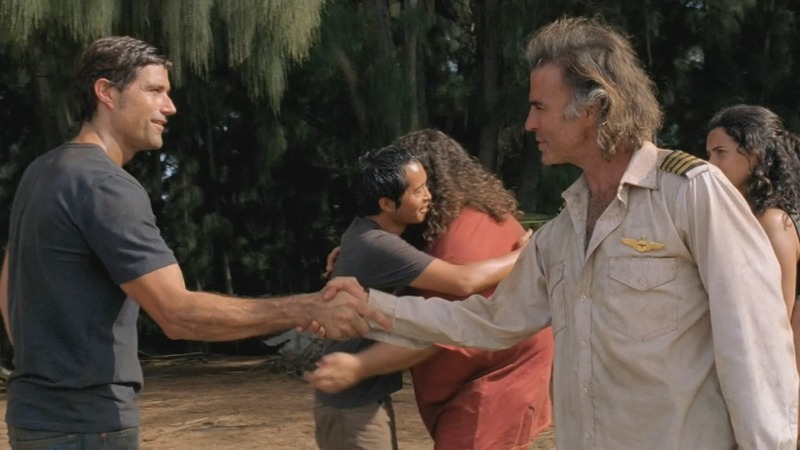 A Sayid episode that moved the story forward quite a bit ! 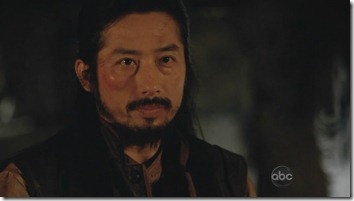 Sayid tried to kill man in locke, and because he let mil speak he failed to do so. Apparently even a simple Hi Sayid can do the trick of turning to the ‘evil side’ though you have to be susceptible to it I assume. Having been dead for 2hrs probably helped. Posted in Movies / TV and tagged lost on 6/3/2010 by Eric.